Hurricane Sandy, also referred to as Superstorm Sandy, hit the Jersey Shore in the fall of 2012. This storm destroyed much of New Jersey's coastline, inflicted severe damage on thousands of homes, and affected millions of residents. 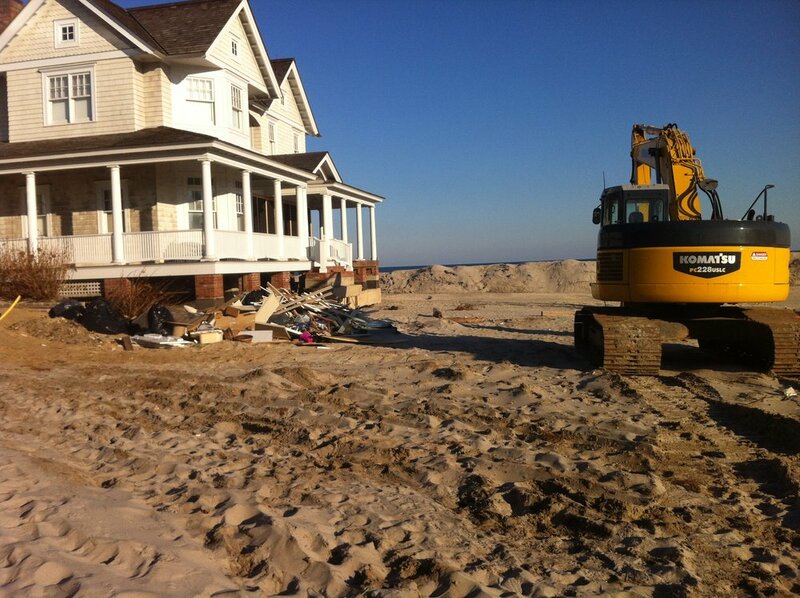 In Ocean County, flooding and the storm surge resulted in many homes being destroyed and lost along the shore. Our residents were left to deal with the aftermath of this destruction, in many cases having to completely rebuild their homes. After the storm ripped through we discovered that out of approximately 110 waterfront and 33 ocean front homes, not one Richard F. Hall custom home was destroyed. Not even a single wall was lost, confirming that quality matters - especially along the Jersey Shore. Over the last few years we have been working with many homeowners who were not so fortunate, and have been helping them to rebuild, lift their homes, and start over. You can believe us when we say we are taking the utmost pride in providing the highest quality craftsmanship while helping these residents rebuild what they lost.